Conditions have clearly improved in Texas' colonias since devious developers first established them for migrant workers in the 1950s. But many efforts have fallen short, the result of bureaucratic nightmares and a spiral of confusion and fees. HARLINGEN — Ask many of the officials charged with improving conditions in Texas’ colonias about their progress and receive a string of pre-packaged responses: about how generous state and federal budget writers have been, how wisely money has been spent, and how cooperatively they have worked together to aid the more than 2,300 impoverished villages on this side of the Mexican border. Patience is all the inhabitants of many Texas colonias have had. In Del Mar Heights, on the outskirts of Cameron County, residents live on a devastated stretch of scrubland littered with dilapidated trailers and dotted with listing telephone poles. 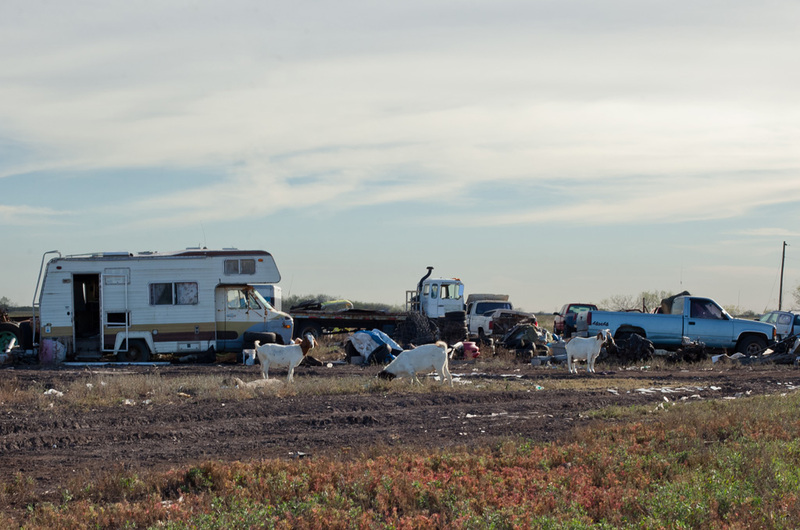 There are no paved streets or sewers, basic infrastructure that developers promised the Mexican immigrants who purchased land here 30 years ago and often live three families — and several bleating goats — to a lot. Floodwaters and wayward hurricanes routinely sweep through the area, battering roofs patched with tarps and campaign signs. Conditions have clearly improved in the colonias — Spanish for neighborhood or community — since they were first established in the 1950s. Then, opportunistic developers took worthless land, created unincorporated subdivisions with little or no infrastructure and began selling lots to predominantly Hispanic migrants looking for cheap land, often locking them into sky-high interest rates and precarious contract-for-deed mortgages. Of the nearly half a million residents in the colonias, an estimated 64 percent were born in the United States; some 85 percent of those under age 18 were born in the U.S. In the last two decades, state and federal officials have invested hundreds of millions of dollars in roads, water lines and other public works projects and have taken legal action against the most devious developers. 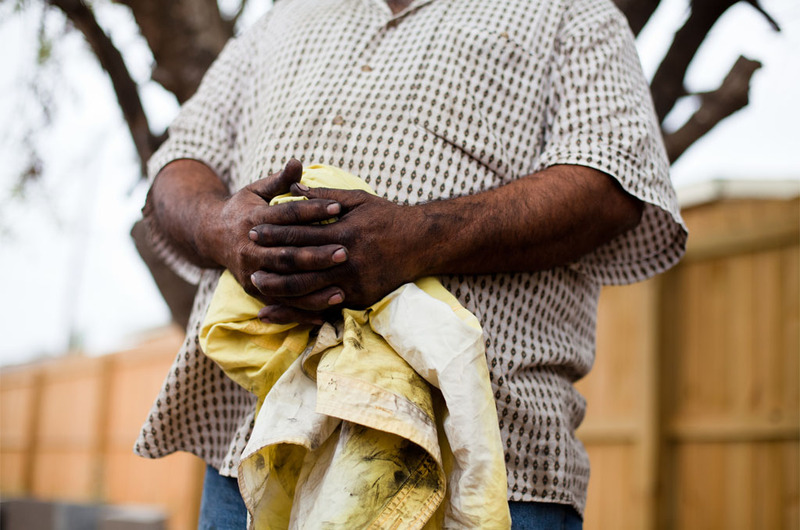 In the last four years, at least 250 more colonias got potable water, paved roads and wastewater systems, and 17,000 people moved out of conditions classified as the highest health risk, according to the Texas secretary of state’s most recent report. But advocates say many of these efforts have fallen short, and that even the best-laid plans have had unintended consequences. There are the bureaucratic nightmares that keep basic services and health care out of reach for many, like when advocates convinced the Texas Legislature to finance the installation of streetlights in certain colonias, only to learn the local counties would not cover the electricity bill. And there are the Catch-22s that lead to a spiral of confusion and fees. Armando Garza Jr., mayor pro tem of San Juan and an advocate for the colonias, said many residents get duped into spending so much of their savings on land that they cannot afford to pay their taxes, let alone build a safe home. When they cannot build to code, they cannot pass inspections to connect to water lines, sewers and electricity. When they cannot connect to water, sewers or electricity, they are relegated to third-world conditions, dragging extension cords and hoses over from their neighbors, using outhouses in lieu of flushing toilets, and adding on one substandard room at a time in a mess of concrete, tarps and composite wood. Nieves, who declined to give his last name because he is in the U.S. illegally, is trapped in this cycle. He and his wife purchased a lot on a rutted caliche road in Mexico Chiquito, outside of Pharr, for $9,500 cash several years ago but cannot afford the hook-ups required to start building a home. Instead, they pay $200 a month to live without hot water or electricity in a dirt-floored rental shack next door, sharing a bedroom with their three teenage sons. Many programs designed to help families like these have seen little to no growth in financing over the last decade; others have faced cuts. State and federal grants ebb and flow depending on politics and the economy. When they are available, it is often a dog pile, with cities, counties and nonprofits competing for dollars. “When there’s a dollar on the table, it’s all about who’s going to get it,” said Shirley Arnolde, head of nursing for Proyecto Desarrollo Humano, a community empowerment group. Many advocates for colonias point to a glaring disconnect between ideas and results, between progress and reality. In interviews with nearly a dozen state, county and federal officials, they spoke of their “coordination” and “oversight,” their “stakeholder” participation. They listed reports they have commissioned and statistics they have collected. And they described public works projects and success stories that seemed, over the course of a week spent in the colonias, to be the exceptions, not the rule. Cameron Park is the best example. Less than a decade ago, the colonia on the outskirts of Brownsville had impassably muddy dirt roads, no city services and few homes up to code. Today, 90 percent of the streets are paved. There are sidewalks, streetlights and bus stops, “all those things normal people are used to,” said Alix Flores, the community development director for the Brownsville Community Health Center. But Flores said the changes did not come through sweeping government grants or benevolent agency officials — they came through community mobilization. Residents became activists for improving their conditions, registering 7,000 people to vote over the course of a few years and holding elected officials accountable for changes. “It’s really about helping families empower themselves, helping them understand they can demand things from the state and federal government,” Flores said. This is harder than it sounds in communities where residents fear authority and drawing any attention to themselves by registering to vote or demanding services. And the every-other-year election cycle for state lawmakers does not help: Advocates for the colonias are constantly forced to educate and re-educate legislators. 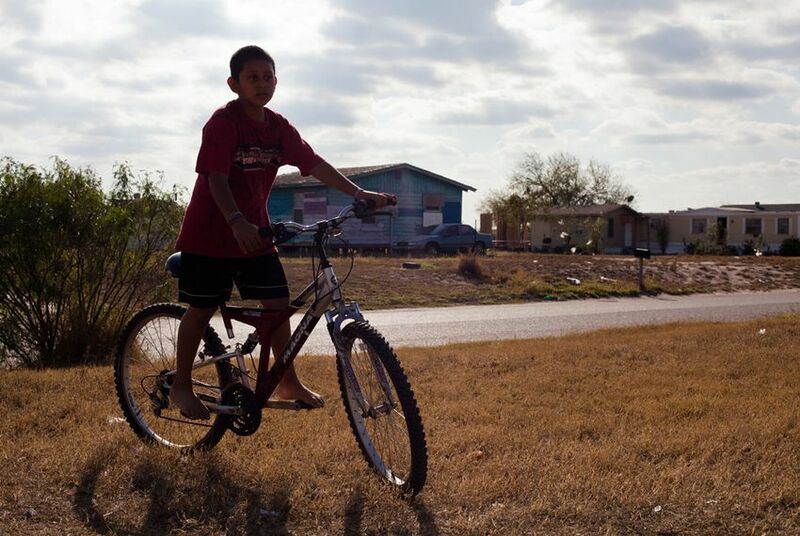 *Coming Sunday: The impact of far-from-adequate infrastructure on the health of residents of Texas’ colonias. **This series was made possible by a grant from the Dennis A. Hunt Fund for Health Journalism, and produced as part of the California Endowment Health Journalism Fellowships, a program of the Annenberg School for Communication & Journalism at the University of Southern California.